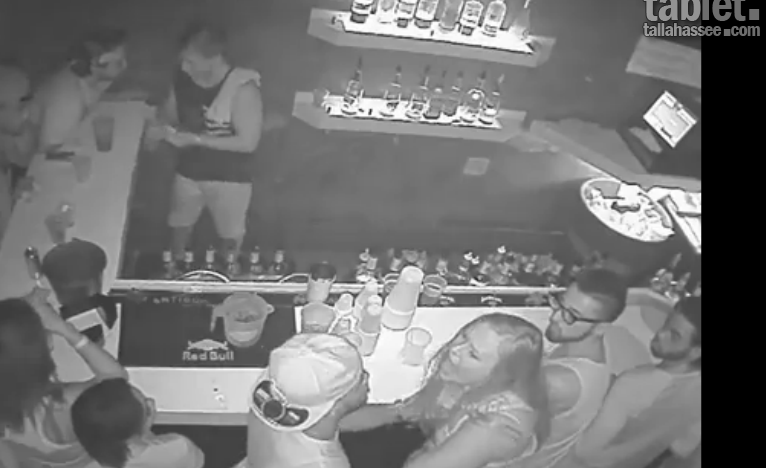 Florida State QB, De’Andre Johnson will no longer be part of the Team after surveillance video came out showing him punching a woman at a bar. 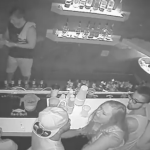 The incident occurred back in June at a bar near campus. Witnesses claim that while waiting to order drinks, the woman cut in front of Johnson. The woman raised her arm and Johnson punched her in the face. Johnson was a highly anticipated freshman recruit and would have been competing for the backup position at QB this season. The All-Star Lineup is complete and Alex Rodriguez has been left off the list. Rodriguez was suspended from the game for the 2014 season for his involvement in the Biogenesis drug scandal. His stats have been impressive this year but his past misconduct might have contributed to his omission from the game on July 14th in Cincinnati. In the NBA, typically the Conference Finals match-ups are hard fought battles, and sometimes even more exciting than the NBA Finals. But this year, it looks like there are two clear heavy weights: The Golden State Warriors and the Cleveland Cavaliers. The Cavs took a commanding 3-0 lead over the Atlanta Hawks and the Warriors maintained a 3-1 lead over the Houston Rockets. It looks like we could see a showdown between the two best players in the league, LeBron James, and this year’s MVP, Stephen Curry. It’s not over yet, of course, and anything can happen (see below), but the Finals that many predicted could be coming true. 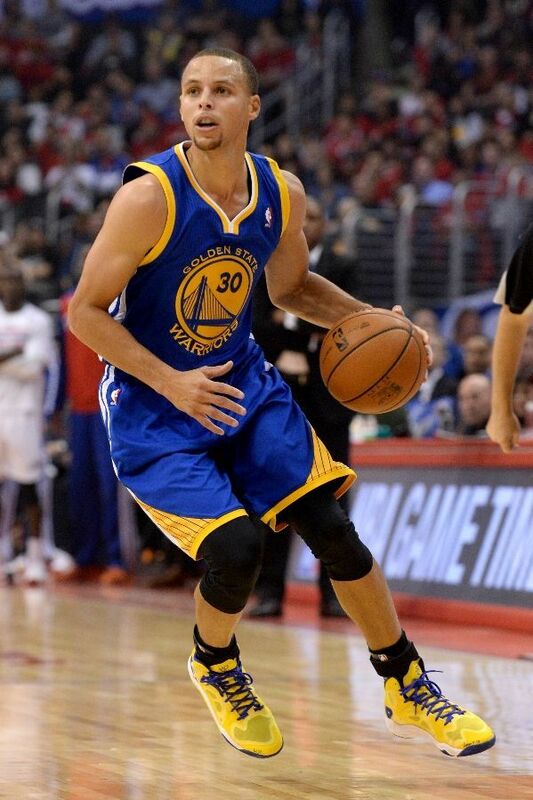 Steph Curry took a frightening fall in the second quarter of Monday night’s game against the Rockets. Be warned, it’s a scary sight. After what seemed like hours face down on the ground, Curry got up and headed to the locker room. At that point, no one knew if he’d be back for the remainder of the game, let alone the series. The doctors administered extensive concussion tests and deemed the injury a head contusion not concussion and allowed him to finish the game. Unfortunately he didn’t get his groove back in time to prevent the Warriors loss. Thankfully, though, he seems fine and will play the rest of the series. Rockets 128, Warriors 115. Josh Hamilton’s relapse into drugs and alcohol was well documented. The Los Angeles Angels dragged his name through the mud and then traded him away to the Texas Rangers. This weekend, he made his return to the field, and hoped to get back into his all-star form. He looked quite rusty out there, unfortunately,striking out a couple of times. The Rangers shouldn’t give up hope in Hamilton, who was once one of the best hitters in the league, but it was a rough start. The Rangers want to give this guy every chance he needs, as they are behind his recovery and believe in him. In a follow-up story about the big bidding war over Cuban baseball phenom Yoan Moncada, it appears that there is now a winner for his services. It costs them just over $61million dollars, but the Boston Red Sox have won the rights to this incredible 19-year old switch hitter. Years ago the Yankees would have paid an exorbitant salary for a player like this, but they have been slow to overpay for players in the modern day. In fact, the Yanks are sort of going the way of the Kansas City Royals, developing their young talent and hoping to compete. Moncada should be an instant jolt to a Red Sox club that had a lackluster season in 2014. Red Sox fans are thrilled. Sure, he will play in the minors for a bit, but if he makes an impact at that level, he will be brought up to the big league. The Carolina Panthers have decided to part ways with their longtime running back DeAngelo Williams. Williams was at one time the hero of many fantasy football teams, and it’s likely that he has just a little left in the tank. There may be a team out there that can use his services. He’s over 30 now, and will be fighting the perception that he’s “done”, but a team like the Patriots could use an occasional burst of speed now and then. Finally, the first openly gay athlete to ever be drafted in the NFL, Michael Sam, may not have ever made an official team roster, but that doesn’t mean that he is leaving the spotlight. It looks like Michael Sam will join Dancing With The Stars next season. I’m sure he’d rather be playing on a team next season, but maybe if he stays in the spotlight, a team might come calling. 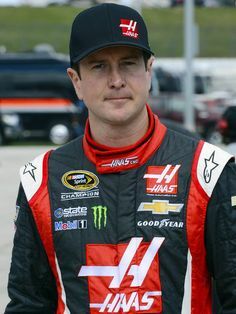 Star driver Kurt Busch has been suspended by the league for a serious domestic violence charge. He is one of the best drivers in the sport, who had a fantastic, wholesome image, but clearly we don’t know everyone’s true character. 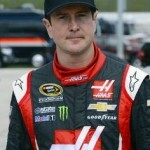 Busch is awaiting a sentencing and will have to undergo a lot of therapy sessions. As of now, there is no timetable set for his return. In the NBA, LeBron James set another landmark this weekend, passing Allen Iverson, and moving to #22 on the all-time scoring list. It will be interesting to see how high LeBron can climb on this list assuming that he has at least 5 – 7 good years left in his career. LeBron has become quite the team player at this stage of his career, and that could seriously affect how many points he scores. He is focused primarily on winning championships, not personal stats. The game has become all about international scouting — primarily in Latin American countries. There is a phenom named Yoan Moncada in Cuba, and teams are salivating to get their hands on him. Bids for Moncada have eclipsed $20,000,000. According to reports, the teams most interested are the Yankees, Red Sox, and Padres. The Padres could use a star player in their city just to draw some attention to their otherwise invisible ball club. This guy must be truly amazing to garner so much money before ever playing a major league game. 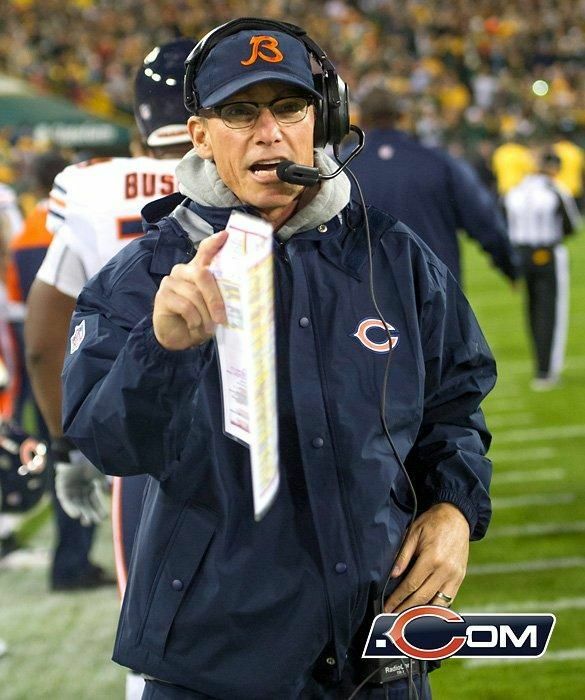 In the NFL, the Chicago Bears may have moved on from Mark Trestman to new head coach John Fox, but some still want Trestman’s offensive services. 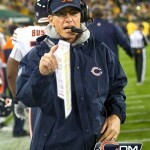 The Baltimore Ravens, who are typically known for their lackluster offense, have hired Trestman as their offensive coordinator. Trestman has a reputation for trying to implement explosive offenses, and this is the type of interesting move that might just pay off. And in other offensive coordinator news, the New York Jets have found theirs. They brought former Bills head coach Chan Gailey out of retirement, and are giving him the reigns with the Jets’ offense. This is a strange hire, considering that Gailey is an older coach who has been out of the game for a while, but there must be something about him that gets people to call. Perhaps with a new head coach and offensive coordinator, we may be seeing a different Jets team next season. Finally, in Major League Baseball, there have been a lot of complaints the last few years that games are simply taking too long. The average baseball game runs a little over 3 hours. Sometimes they can get as long as 3.5 or 4 hours. Now, the MLB is putting forward a proposal to shorten inning breaks. According to research, inning breaks take at least 2.5 to 3 minutes. Major League Baseball is trying to shorten this break to no longer than 30 seconds. That could shave at least 20 minutes off of the game time. This is a good start to getting young players back to the sport. Saratoga Springs, NY is one of the all-time best places to watch horse racing. The month of August is dedicated to Thoroughbred horse racing in Saratoga. Swarms of fans descend on this quant, beautiful town that lives and breathes horses. The most famous race during this month is the Travers Stakes, which was run this past Saturday and attracted 38,909 people. Street Sense, winner of this year’s Kentucky Derby, took the prize by only half a length. Street Sense barely edged out Grasshopper who was racing in his first stakes (the highest level of racing) competition. Look for Street Sense to try and win the $5 million Breeders’ Cup Classic at Monmouth Park October 27th. If he wins the Classic, there should be no doubt he will crowned horse of the year. Watercooler Discussion: Where’s your favorite place to watch a thoroughbred horse race? I wanted to avoid mentioning Michael Vick this week, but unfortunately that’s not possible. Vick is expected to formally plead guilty Monday (on the same day that his Falcons will play the Cincinnati Bengals on Monday Night Football). With pre-season games not getting the attention of the regular season (for obvious reasons), you can bet that MNF will have high ratings this week. People will tune in for the Vick banter and more importantly for observing whether the Falcons’ new quarterback, Joey Harrington, will lead the team to a few wins. Watercooler Discussion: How many games will the Falcons win this year? Will we ever stop talking about the Falcons and Vick in the same sentence? On a happier note, congrats to Georgia for winning the Little League World Series Championship over Japan. These boys could be the future of Major League Baseball. And, what touched me was that before the game, the Japanese coach gave the team a listing of players’ names and addresses in case the boys wanted stay in touch. Now that’s sportsmanship! Johan Santana made history with 17 strikeouts in 8 innings this weekend against the Texas Rangers. Got to love this time of year….it seems almost every week some baseball player is putting himself in the history books. Congrats Johan. Watercooler Discussion: Which teams do you think will make the playoffs? Speaking of history books, Roger Federer just keeps getting better and better. At only 26 years old, he just won his 50th tournament title (5th youngest player ever to do this). Watercooler Discussion: Is there anyone playing today that can rival Federer? Beckham seems to be on his way to earning his exorbitant salary. Saturday night at Giants stadium against the Red Bull New York, Beckham played a full 90 minutes and attracted a crowd of 66,237 people. Even though he didn’t play all that spectacularly (apparently he’s still getting used to artificial turf), he did manage to make some good plays and the game (by soccer standards) was unusually high scoring. With a total of 9 goals (5 for Red Bulls and 4 for the Galaxy), this game marks the first major league soccer match this year and the 10th in League history to record this number of goals. Watercooler Discussion: Is Beckham changing how soccer is viewed in this country yet? Pre-season games are here and we can’t help but join the hype in who’s hot and who’s not (and I do mean their performance on the field and not who’s currently dating Paris Hilton). I’m loving the hype, but really more concerned right now with pre-season injuries. I can’t even watch my favorite players take the field in fear that they’ll twist their ankle (which happened a lot around the League this weekend) or worse. With that said, September 6th is the first game of the year and you can be sure I’ll be glued to the TV then! Watercooler Discussion: Is the Pre-season too long? Does it unnecessarily create more injuries? 3 major milestones were achieved this weekend. 1) Barry Bonds (SF Giants) ties the all-time home run record set by the legendary Hank Aaron by hitting 755 home runs. Bonds has been close to tying this record for weeks, leaving everyone wondering just when it was going to happen. Now, we’re just waiting for him to officially break the record (which could happen any day now as well). .
2) Alex Rodriguez (NY Yankees) became the youngest major league player (32 years old) to hit 500 home runs. Taking the field to the theme from the movie “The Natural”, ARod became only the 22nd player ever to reach this milestone. ARod’s had somewhat of a controversial year (although in New York, it’s kind of par for the course). In case you’ve forgotten, ARod and some mystery woman’s picture were splashed all over gossip columns coming and going from various “hot spots”. Not to be outdone, his wife Cynthia became the object of ridicule when she attended a Yankee game (accompanied by their 2 year old daughter) while donning a profanity laced t-shirt). Even with all of his domestic difficulties, he blew a kiss into the crowd (supposedly aimed at his wife and daughter) although his wife was running late and wasn’t in her seat (and the 2 year old wasn’t there because her Mom thought it would be too hot to be at the Park all afternoon). You can’t blame them though….who knew this game against the Kansas City Royals would put him in the record books? 3) And last but certainly not least, Tom Glavine (New York Mets Pitcher) became only the 23rd player in MLB history to win 300 games. This is one of the most prestigious records in baseball. It looks like we’ll be celebrating this milestone for a long time as there doesn’t appear to be anyone else who will hit this milestone for a very long time. The 41 year old Glavine was very gracious after the game and thanked his family for letting him focus on baseball.